At OrthoSmile, we help our patients to maintain optimal oral health by offering a full range of preventive and general dentistry options and educating them on how to develop healthy habits to care for their teeth and gums at home. Our patients know that they are receiving the highest quality of care every time they come to see us. From comprehensive oral exams to meticulous cleanings and preventive care, your smile is in good hands at OrthoSmile. Cavities and decay are among the most common dental health threats we see. When caught early, small cavities and decay can be effectively treated by removing damaged tooth structure and applying a resin composite tooth-colored filling. However, if even a small area of decay is left unaddressed, it could soon progress to a state where our general dentists will recommend more aggressive treatment. In these cases, we may need to crown the damaged tooth. If a tooth is so badly damaged that it needs to be removed, Our general dentistry team at OrthoSmile can use dental implants, dental bridges, or even dentures to maintain the beauty and strength of your smile. The foundation for your teeth is healthy gums and bone. We are cognizant of the importance that this has on the overall health of patients. The mouth is really the starting point for everybody’s health, and research now shows how it can affect our systemic health. The same bacteria and plaque that attacks our teeth and gums can enter the bloodstream and contribute to heart conditions, strokes, diabetes, and other serious conditions. 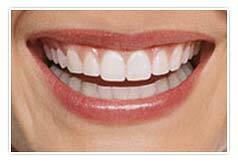 Our team’s goal is in keeping your beautiful smile at its healthiest. We provide a detailed regimen for each person; ultrasonic scaling, AIRFLOW™, specific medications, anti-biotic rinses, tooth pastes and brushes, and the right encouragement and education. Airflow™ - A mixture of air and special Airflow™ lemon flavoured powder combine with a water jet to remove plaque and staining from teeth, fast and painlessly. 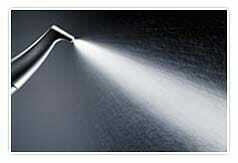 A good dental cleaning is essential to maintaining your oral health. Even the most conscientious patient cannot reach every deposit of plaque that accumulates in the mouth with daily brushing and flossing. 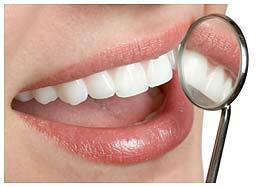 We encourage our patients to maintain good oral health by coming in for a thorough exam and cleaning twice a year.